Once a top prospect in the NJPW Young Lion system, Katsuya Kitamura has left NJPW. Katsuya Kitamura is no longer with New Japan Pro Wrestling. The winner of the 2017 Young Lions Cup has been on the shelf since March dealing with a serious injury. Although details of the injury are scarce, it is believed Kitamura badly damanged his leg in a scooter accident. 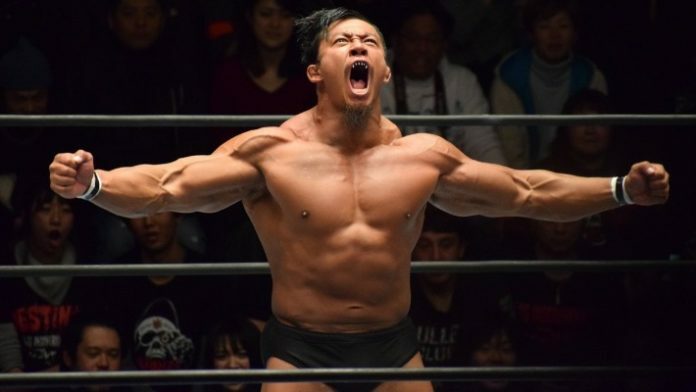 He is then believed to have suffered another injury while training and the decision was recently made between him and New Japan to end their working relationship. NJPW commentator, Chris Charlton, provided some English-language translations of today’s announcement. Kitamura was a promising amateur wrestler who was projected to be on the 2012 Japenese Olympic team. A positive test for PEDs in 2011 and a subsequent suspension ended that dream, however. He began training at the New Japan Dojo in 2015. By 2017, he was regularly competing in preliminary matches on the NJPW main touring roster. He was awarded the Rookie of the Year award in 2017 by the Wrestling Observer Newsletter. Kitamura won the 2017 Young Lions Cup as well. He then teamed with David Finlay in the World Tag League in 2017 that winter. They lost all their matches in the round-robin.